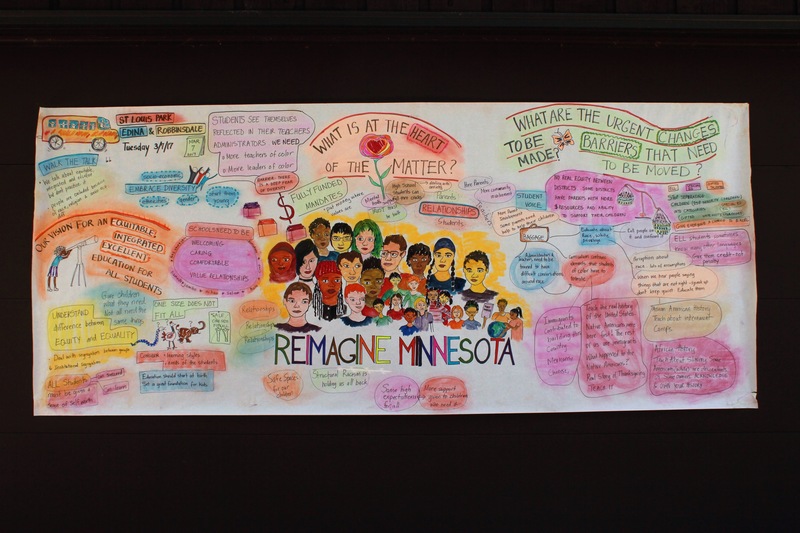 Reimagine Minnesota is a comprehensive education plan developed collectively by a group of more than 30 school superintendents from the metropolitan area. 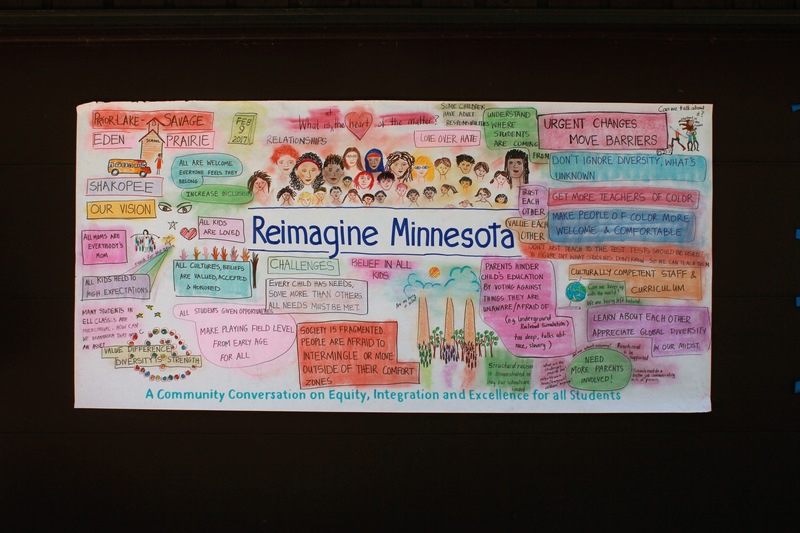 The goal of Reimagine Minnesota is to eliminate disparities and to improve access, equity and opportunity for ALL students. 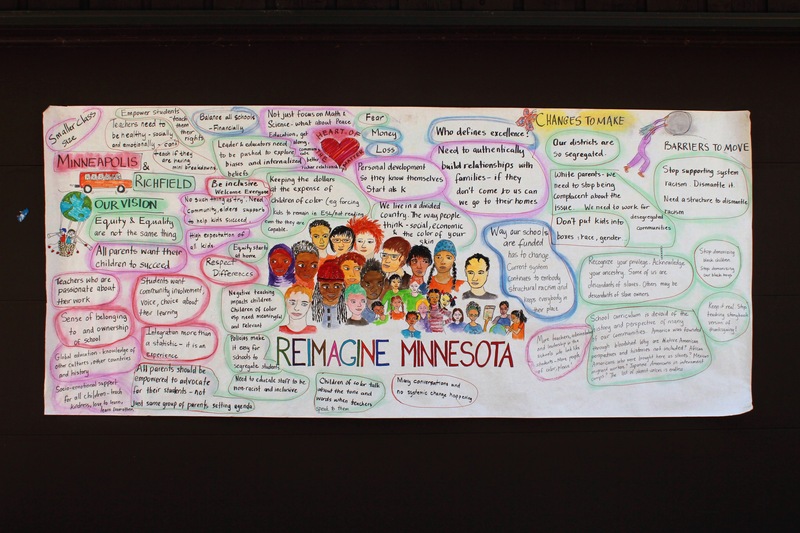 The Association of Metropolitan School Districts has facilitated the initiative and is hosting periodic professional development sessions focused on the nine strategies in the Reimagine Minnesota plan. 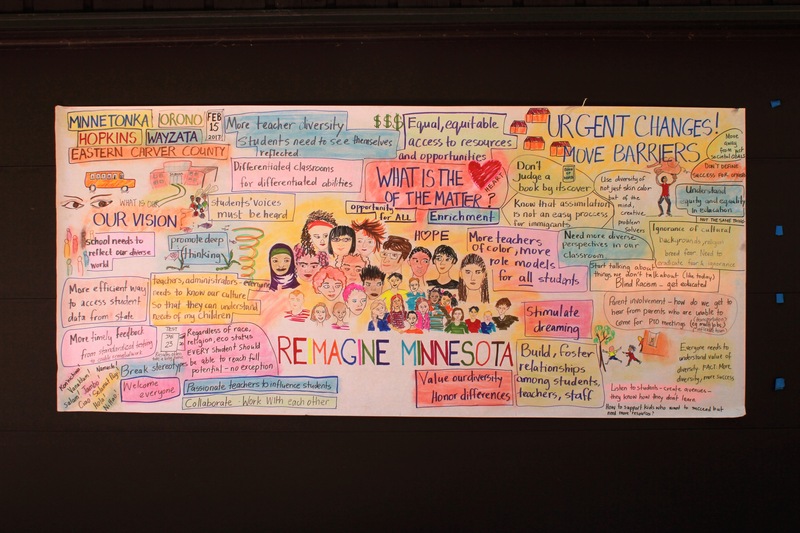 In March 2016, a group of metropolitan superintendents gathered together to discuss the future of education in the State of Minnesota.  Specifically, the superintendents acknowledged that ensuring equity and excellence for all students is the most pressing issue in education today. 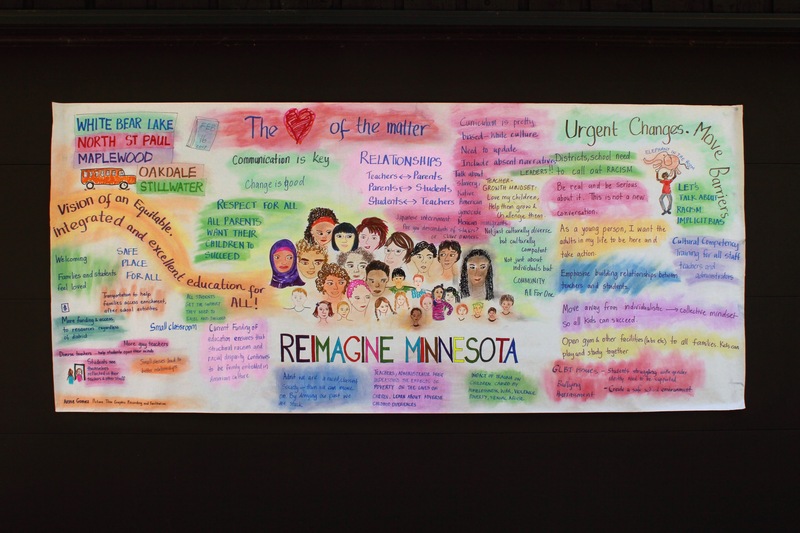 They also recognized that the demographic composition of our state was rapidly changing and that Minnesota would have an older, more diverse population throughout the state in the coming years. Our K-12 education system is the foundation for the upcoming workforce yet our educational data and statistics show that schools and districts need to improve all of the educational markers that serve as benchmarks of success in the current educational system. 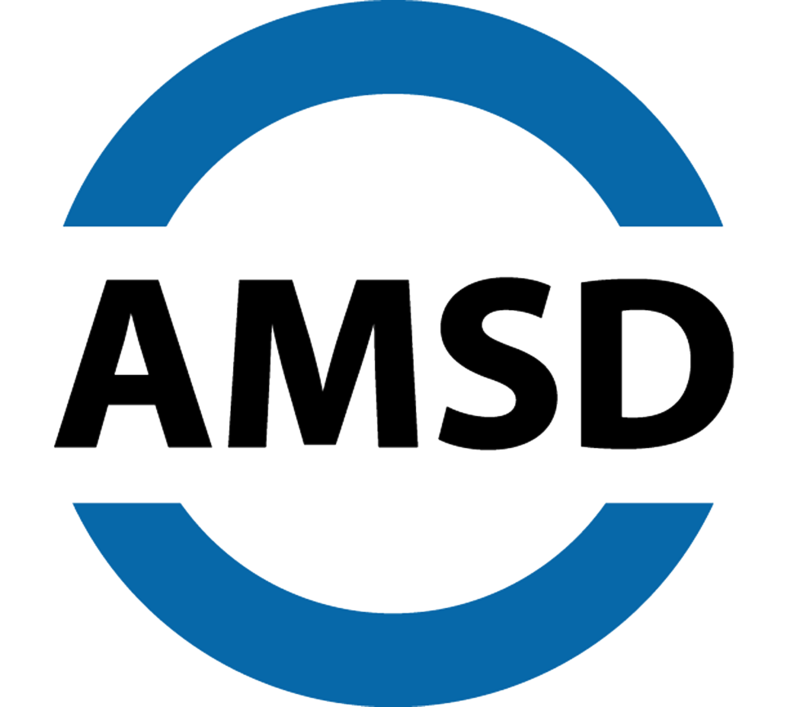 In October 2016, superintendents asked the Association of Metropolitan School Districts (AMSD) to form an Ad hoc Committee to develop a Collective Education Action Plan to address integration, access, opportunity and educational excellence for all students. 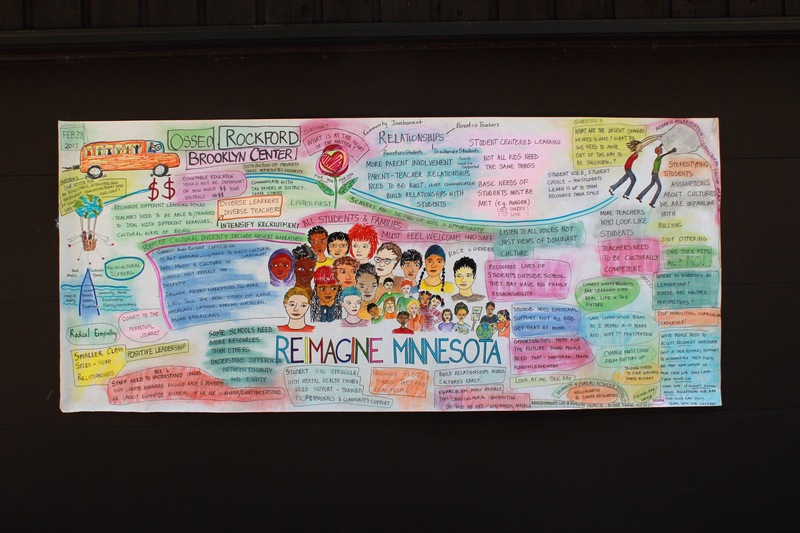 From January through May 2017, parents, students, cultural representatives, community members, business leaders and other education stakeholders, were invited to Reimagine Minnesota and conceptualize a new model of education that’s designed for the success of all students. Each participant was welcomed, honored and respected for who they are and the contributions they offered. 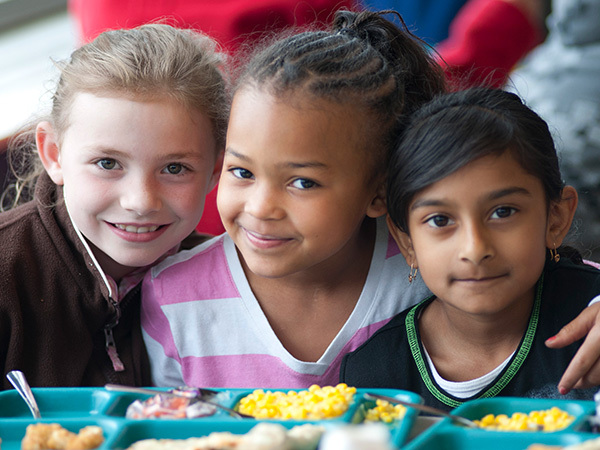 (1) Effective, diverse stakeholders who use trusting relationships to create welcoming classrooms, schools and communities that meet the needs (hopes & dreams) of all students and families. (2) Personalized relevant education and youth development that guarantees access to rigorous learning and eliminating predictability based on race. (3) Equitable resources (time, talent, funds) aligned to student needs (hopes & dreams) that enable every district to “see all" and “serve all." In response to the education goals identified by the school community stakeholders, superintendents and their teams joined together to develop a plan for achieving the goals to SEE, SERVE and SUPPORT ALL students. First, they met in several district cluster work sessions to propose concrete actions for each goal. Next, over 150 school leaders were invited to five planning sessions to review the action ideas from the cluster meetings and determine realistic directions for creating lasting equity and excellence in education for all students. They analyzed the key barriers to ensuring education equity and excellence for all students and identified a system of strategies required to achieve the shared education goals. This is a report of the collective education plan for action. The proposed plan will be shared with school stakeholders and partners in order to refine the directions and build broad-based support for the collective work. Action planning meetings will be convened at the system and district levels to develop the specific steps, roles, capacity, measures, support systems, accountability and steering mechanisms needed to initiate and sustain unified plan implementation. 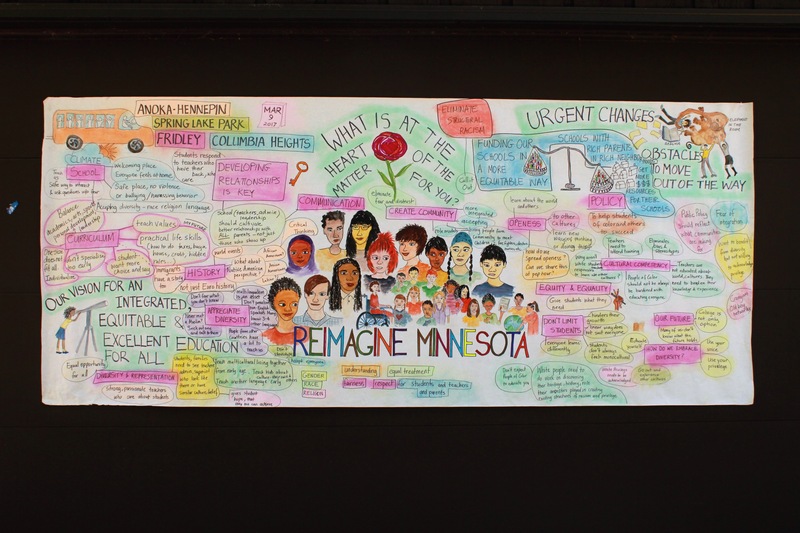 The following documents are filed under the category "Reimagine MN Strategy Meetings." 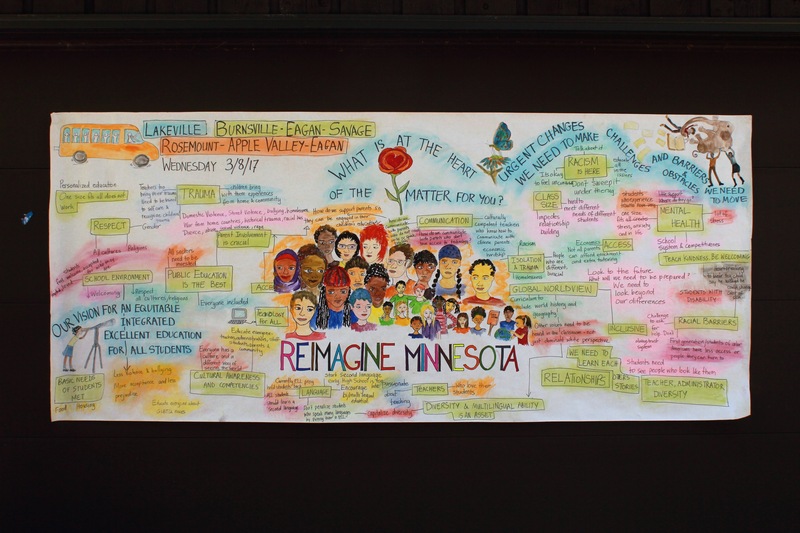 The following documents are filed under the category "Reimagine Minnesota: The Murals."